So a apparently, Warhammer Fantasy Battles is turning into a round based game. 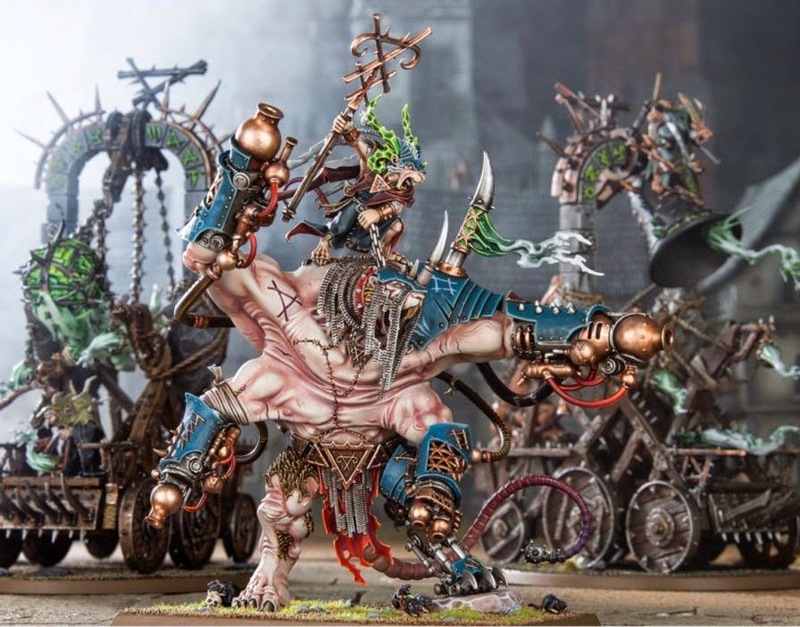 As apparently modelled by the skaven war machines in the picture above. I am hopeful, hopeful of a lower model count. This would make the game more appealing to me as I find fewer models, more variety and big centrepieces a good thing. The internet unhappiness patrol is out in force of course, and I suppose re-basing is a pain in the teeth. However, it seems that some folks are always unhappy with any change Games Workshop make, so it hardly matters.